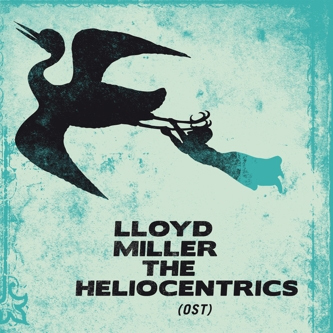 Strut's latest pairs legendary jazzman Lloyd Miller with the perenially popular Heliocentrics, whose reputation only seems to get bigger following acclaim for their work with Mulatu Astatke. Their partner here, the enigmatic ethnomusicologist Lloyd Miller is a very interesting character; after moving to Iran as a budding jazz man with his parents during the '50s, he would study Persian music intently, mastering a number of mid-eastern instruments and styles. In the '70s he presented a music show on Iranian TV and more recently had his seminal 'Oriental Jazz' works reissued on Jazzman. A widespread renewed interest in more exotic forms of jazz lead to this collaboration, featuring the Heliocentrics at their fluid, intuitive, and spiritual best under the command of Miller, creating a freeform mix of Eastern arrangements, jazz and angular psychedelics including a new version of his classic 'Massom' and the cinematic 'Electricone'. Hypnotic, modal, marvelous!